Our Wooden Cube pack has been designed to open up a new world of adventurous discover and play. 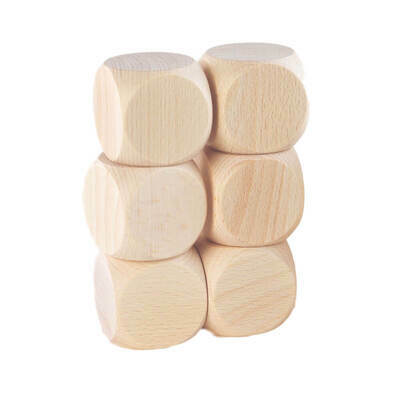 Designed for heuristic play which is rooted in children's natural curiosity, these simple wooden cubes create a treasure trove of play ideas that help to develop their playing and cognitive skills. Allow children to feel, pair, and stack this beech wooden cube set again and again and you'll help to develop an open environment where the world of play merges with their own vivid imaginations. Let the children experiment with their hand-eye coordination and introduce the Wooden Ring Stand Base to your toy collection. Or opt for our Wooden Rings which can be easily stacked and knocked over, developing an understanding of cause and effect. Or simply help expand the imagination of many more children by browsing other Wooden Toys from our range available online now.